If you live in Brickell, then you know how important nightlife and dining out are to most of the residents. Sometimes referred to as the Manhattan of the South, Brickell is full of that excitement and frenzy that only major metro areas have. While the reputation of Brickell is its status in the financial world, it includes some of the most fantastic restaurants and bars in which it is important to not only see but be seen. One of those restaurants is the chic Italian hot spot, Cipriani. Cipriani, owned by the Cipriani brothers who are great grandsons to the founder of the famed Harry’s Bar in Venice, opened in the spring. With its primo location at Icon Brickell, it is a super high-end restaurant where major financial deals are made. It makes sense since other Cipriani locations are in high profile areas like Abu Dhabi, London, and Monte Carlo. 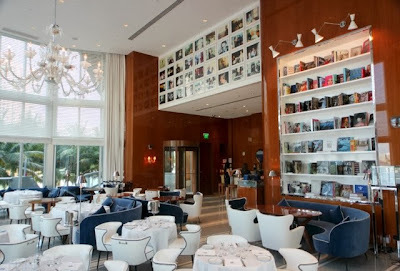 Add to that the high ceilings and traditional atmosphere that has a modern edge to it, Cipriani is definitely becoming a Brickell hot spot. 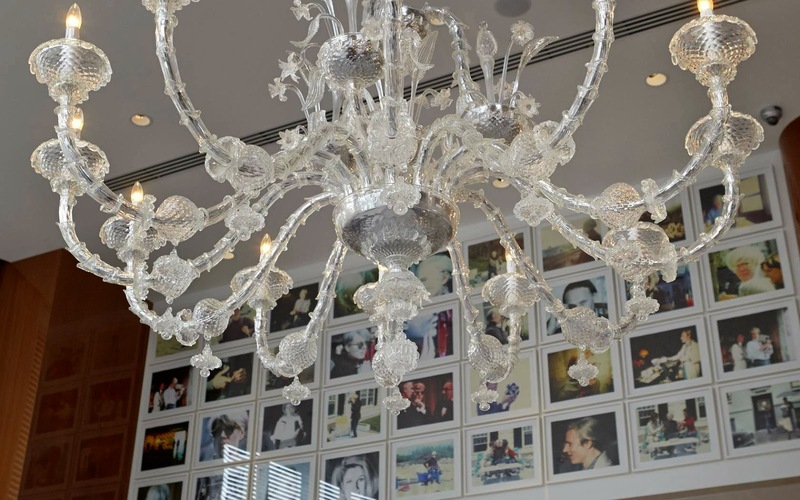 The main level is enormous and has 22-foot ceilings that host two gorgeous Murano glass (we did mention that Harry's Bar is in Venice?) chandeliers. A lower level features a more casual outside patio that has retractable glass doors, a brick pizza oven and outdoor grill. As development continues to take place and businesses consider opening in the area, it begs to ask what Brickell offers restaurants and nightlife. For the most part, unlike many of the areas around Miami, Brickell is much less seasonal with most people living here year-round or spending a considerable amount of time in Miami on business. And with developers like the Relate Group and Flagler bringing more condominiums to Brickell and the surrounding neighborhoods, it makes perfect sense to want to be in such a popular part of Miami. For Cipriani, being situated in the heart of Brickell at Icon Brickell, the residents of the three towers, alone, are enough to keep the restaurant at capacity throughout the year. Many believe that Icon Brickell is the hub of Brickell. Its location at 465-495 Brickell Avenue offers water views on two sides and is close to all the important and fun things in Brickell and other close neighborhoods. Property at Icon Brickell is perfect for first time buyers, investors and those who spend extended amounts of time in Brickell for work. One-bedroom units start in the upper-$300s while two-bedroom units start in the mid-$400s and three-bedroom units start at over $1 million. Depending on the location and views from each unit, the list prices climb to over $2 million for three-bedroom penthouses. Icon Brickell rentals vary as well. One-bedroom residences range between $2,000 and $3,000 per month. For two and three-bedroom units, monthly rental rates start around $2,500 and climb to almost $10,000 per month (three-bedrooms on upper level floors with amazing views). For a lot of Miami residents and visitors, everything happens in Brickell and that is where they want to be. As for hot restaurants and nightlife, Cipriani is an excellent choice for entertaining clients, out of town friends or even when Icon Brickell residents want to go out without having to leave their building. It does not get much better than that.